Sandalwood Shearing Shed offers a tranquil country escape. 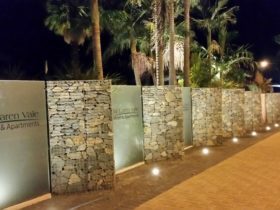 Set in a vineyard in one of South Australia’s premier wine growing regions, it is a wonderful place to relax and explore the McLaren Vale region. Experience the Australian countryside in a converted shearing shed with all modern comforts. 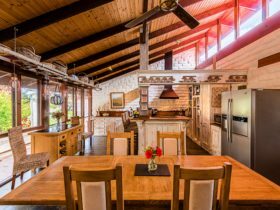 It is set in a secluded spot on a 90 acre property. 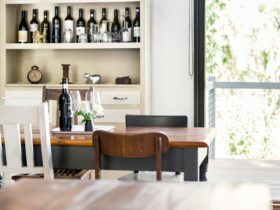 Guests enter the accommodation through the traditional shearing shed, to arrive at a cosy and romantic dwelling with beautiful vineyard views and stylish interiors. Suitable for two guests, it has a comfortable queen size bed and a fully equipped kitchen. Comforts include a modern bathroom with a great shower, reverse cycle air conditioning and a combustion stove for winter warmth. A deck that overlooks a small winter creek is ideal for outdoor eating and barbecues. 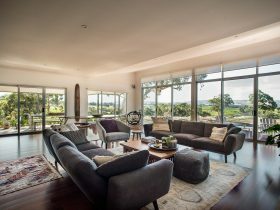 Guests can explore the surrounding cellar doors, vineyards, local beaches and great local restaurants. 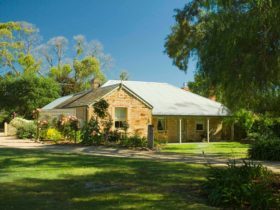 This is also a wonderful place to just relax and take walks around the property and guests can help themselves to produce from the chook pen, orchard and vegetable garden (when in season). Sandalwood Shearing Shed is 45 minutes drive from Adelaide, 10 minutes from McLaren Vale and 15 minutes from Willunga. 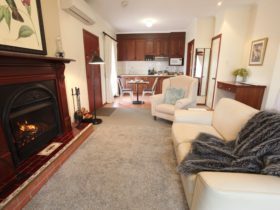 Guests enter the accommodation through the traditional shearing shed, to arrive at a cosy and romantic dwelling with beautiful vineyard views and stylish interiors. Suitable for two guests, it has a comfortable queen size bed and a fully equipped kitchen. Comforts include a modern bathroom with a great shower, reverse cycle air conditioning and a combustion stove for winter warmth. A deck that overlooks a small winter creek is ideal for outdoor eating and barbecues. 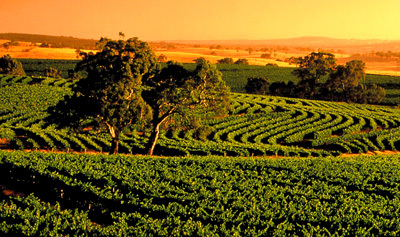 Guests can explore the surrounding cellar doors, vineyards, local beaches and great local restaurants. This is also a wonderful place to just relax and take walks around the property and guests can help themselves to produce from the chook pen, orchard and vegetable garden (when in season). Sandalwood Shearing Shed is 45 minutes drive from Adelaide, 10 minutes from McLaren Vale and 15 minutes from Willunga.